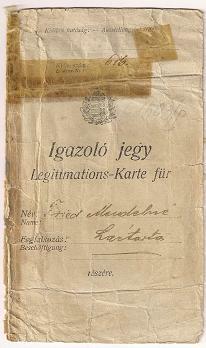 Hungarian Identification Document-1916 Price:$9.99+$5.00 S&H This is a Hungarian identification document dated 1916. 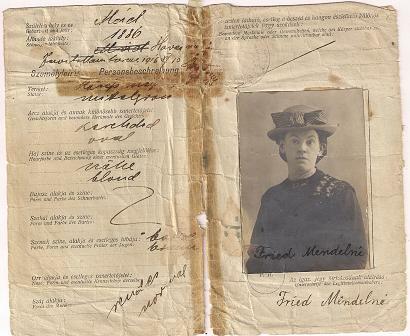 It belonged to a woman Fried Mendelni. It is quite tattered and had been repaired with tape at one time.